A think tank report titled "A New Era in China-Africa Friendly Cooperation" was released in Beijing Monday. The report, jointly compiled by the Institute of West-Asian and African Studies and the Bureau of International Cooperation, both under the Chinese Academy of Social Sciences (CASS), consists of one main report "New Achievements, New Opportunities, New Vision" and eight subject reports. Topics of the subject reports include direct investment and cooperation, people-to-people exchanges and cooperation, the Belt and Road Initiative and China-Africa capacity cooperation, as well as the social responsibility of Chinese enterprises in Africa, said Li Xinfeng, deputy director of the institute. The report aims to serve the 2018 Beijing Summit of the Forum on China-Africa Cooperation, further strengthen research on China-Africa relations, and extend China-Africa friendly cooperation, the compilers said in a press statement. The report summarizes accomplishments that China and Africa have made through common endeavors in the fields of politics, economics, culture, and security since the 18th Communist Party of China (CPC) National Congress in 2012. It analyzes opportunities as well as challenges which Africa and China-Africa cooperation face as socialism with Chinese characteristics has entered a new era, and offers advices on China-Africa cooperation in the future. Making voices from China's think tanks and scholars heard, it also demonstrates to the world that cooperation is thoroughly in line with the fundamental interests of the 2.6 billion people of China and Africa, said the statement. 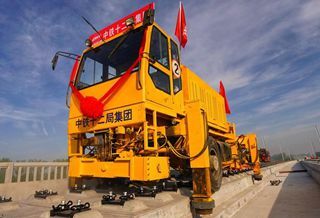 Looking ahead, China and Africa particularly need to strengthen three types of cooperation: aligning the Belt and Road Initiative with the African Union Agenda 2063, the international cooperation on production capacity with Africa's industrialization strategy, as well as China's experience in poverty alleviation with Africa's poverty reduction programs, according to the report. The report is published bilingually in both Chinese and English, by China Social Sciences Press.